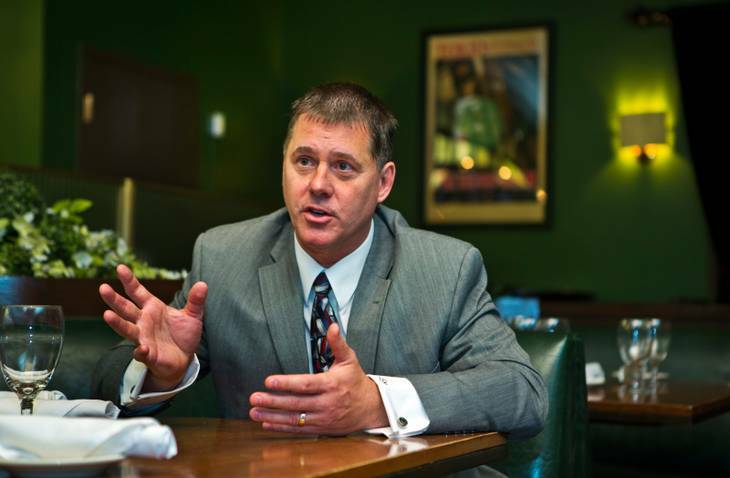 Downtown Grand CEO Jim Simms is gone after less than a year on the job, the casino announced today. Simms came to the Grand in part to expand its gaming operations, the statement said, while furthering the “full casino resort experience” and building on success of the existing room and restaurant offerings. The Grand introduced a new tiered rewards program during his tenure, as well as changes to the casino floor and a competitive video games lounge. The Grand introduced a new tiered rewards program during his tenure, as well as changes to the casino floor and a competitive video games lounge. The resort also has plans to feature skill-based games on its casino floor. Simms said in an interview with VEGAS INC last year that the Grand wanted to compete for core casino customers while also being a technological leader. “We’re looking at building a model here that is going be a little more technology-savvy, maybe more cutting-edge than some of our competition,” he said at the time. Schorr said in an interview that Simms was hired on a one-year contract, and that he had a “very specific mission” that included helping to right-size some expenses and improving the resort’s finances. Before coming to the Grand, Simms was president and general manager of Miami Valley Gaming in Ohio. He held various other hospitality and gaming positions prior to that, including at businesses in West Virginia, Chicago and Las Vegas. Schorr said that the decision not to bring in a replacement for Simms would not hinder the resort’s progress. Location poses a challenge to the fledgling Grand, which opened in 2013 as a renovation of the former Lady Luck casino. Unlike some of the other resorts in downtown Las Vegas, the Grand’s situation at Third Street and Ogden Avenue is a bit more removed from the heavy foot traffic on the Fremont Street Experience. But the Grand’s statement emphasized its “strong operating performance” last year, noting in today’s statement that it reported an average 90 percent hotel room occupancy, “steady growth” on the gaming side and “continued popularity” in the main restaurant and bar offerings on its property.